drive and opportunity to make their dreams come true! with a lot of hard work and perseverance, we opened in March, 2012! during your stay in beautiful North Lake Tahoe, CA. Hi I'm Kristen. I've been a Licensed Massage Therapist since 2007 and I absolutely love what I do. I started as a Certified Athletic Trainer, specializing in sport specific injuries, rehabilitation and overall health of athletes. Now, I specialize in Ashiatsu Oriental Bar Therapy and sports massage while blending in other massage techniques as well. In 2016, I continued my education and began working with Oncology clients. While all of my work is very fulfilling I enjoy my grounding time too. When I'm not in the office I enjoy yoga, hiking, boating, snowboarding, running half marathons and just about all Tahoe has to offer. Hope to meet you soon! 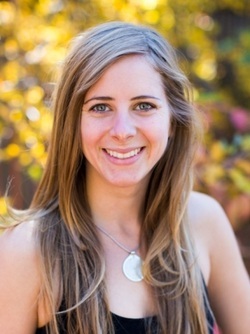 Bethany is a Licensed Esthetician in California and Nevada. 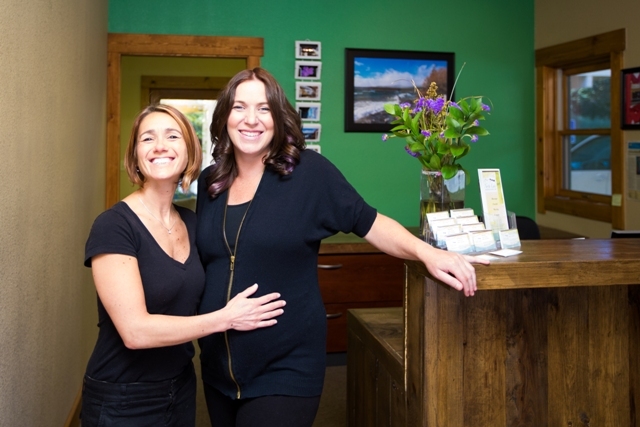 She is also a Licensed North Lake Tahoe Massage Therapist. She has been doing massage since 2004 and skin care since 2010. She specializes in a wide range of services from waxing, facials, eyelash extensions, lash/brow tinting, body treatments, along with a wide range of massage modalities. Her massage techniques relax and soothe clients. Some would say her massage is very nurturing and sedative. Her facials offer a soft touch with gorgeous results. Her waxing services are top notch! She is very professional, precise, and quick! No matter what service you are looking for you will be very pleased. After having her son, Bethany still tries to get out and do everything Tahoe has to offer. She loves riding horses, crocheting, hiking, camping and spending time with her family (to name a few)! She loves what she does and loves to make people feel relaxed, happy and most of all hair free! Hi I am Tiffany. I have been a Massage Therapist and Reiki master since 2001. I believe that massage is an amazing tool for not just physical stress reduction but emotional healing as well. I like to do custom sessions geared toward each individual and their needs using a combination of techniques such as Deep Tissue, Swedish, Reflexology, and Trigger Point Therapy. I offer both these traditional massage styles as well as Reiki which is a form of energy work. I love Tahoe and all it has to offer and I look forward to meeting all of you! 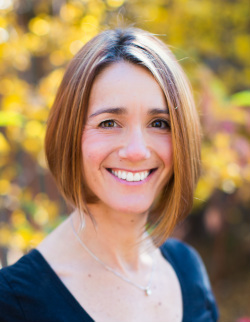 Hello, my name is Kelly Love and I’ve been a Massage Therapist since 2000. Fitness, nutrition, and helping others, has always played a vital role in my life. My career into healthcare began in 1995. I worked as a Certified Nursing Assistant for hospice while attending the University Of Texas Arlington. I graduated with a BA in Kinesiology with a concentration in Athletic Medicine and a minor in Wellness. Upon graduation, I relocated to Los Angeles where I began working/internship at a sports performance facility in Redondo Beach. My clients included, but not limited to, celebrities, athletes, including those training for the Olympics, and members of the community wanting to improve fitness and overall health. I have extensive knowledge and experience with whiplash related to car accidents, sports injuries such as, epicondylitis (tennis elbow), shoulder impingements, rotator cuff tendonitis, chronic shoulder instability, ACL tears and other common knee injuries, repetitive strain injuries including carpal tunnel syndrome, golfers elbow, bursitis, Ganglion cysts, postural imbalances from sitting or standing for prolonged periods of time, neck strains, disk herniations, and spinal fusions. My modalities include Active Release Technique, Deep Tissue, Sports, Swedish, Trigger Point, Neuromuscular, and Myofascial release. My intuition and skills allow me to customize a massage for the individual needs of the client. Whether a more therapeutic or relaxing approach is necessary, you can be confident that you’re in good hands. I’ve been very grateful to call Tahoe my home since July of 2002. In my free time, I enjoy rock climbing, mountain biking, hiking, camping, and fly-fishing. Thank you for stopping by and I look forward to meeting you! Have a great day. I've been a practicing Licensed Massage Therapist since 2010. At its core, my work is inspired by my innate desire to create positivity and healing in the world. Discovering bodywork as a path enabled me to do this every day, with each person I work with. I love what I do and feel so blessed to be doing it! My style of work is influenced by my training in Swedish and Deep Tissue massage, though it has evolved to be slow, focused, deep, and intuitive. Each session is unique and my approach varies organically with the needs of each individual. Many of my clients experience profound physical and emotional releases in our sessions, and my goal is always to bring presence and awareness of mind and body to everyone I touch. It is my hope that each person I work with leaves my table feeling grounded, nurtured, and peacefully free of physical and emotional tension. In my free time I love hiking and exploring Tahoe, seeing live music, and I've been a passionate hoop dancer since 2009. Hi, My name is Tiffany. I have been a Massage Therapist since 1998 and a Esthetician since 2000. I practice a wide range of massage modalities specializing in Theraputic, Hot Stone and Lomi Lomi. I also enjoy providing customized facials and body treatments to address my clients skin care concerns. My career has allowed me to practice and learn new skills form around the world including, Hawaii, Guam and Belize. I initially received my training in my home state of Wisconsin and worked at The grand Geneva Resort and Spa in Lake Geneva. After five years at the resort teaching fitness classes, yoga and providing guest with massage, facial and body treatments I had the opportunity to spread my wings and move to Maui. While in Maui I continued my training in Lomi Lomi massage and also received my nail tech license. I opened my own Day Spa and enjoyed my time as a business owner. After ten years in Maui I was ready for a change and accepted a position as a spa manager half way around the world in Guam, where I spent three years. Living in Guam allowed me to travel to such places as Bali, Japan and the Philippines, and is also where I ran my first 5k. In 2016 I accepted a 1 yr position in Belize to assist in opening a beautiful resort spa called Nia. I still keep in touch with friends I have made there and return for a few weeks every February, along with my parents. Relatively new to the Tahoe area I have been enjoying as much time at and around the lake kayaking and listening to local music as I can.